Network Rail has launched legal action to stop a 24-hour strike by rail workers planned for 29 and 30 June. The Rail Maritime and Transport (RMT) union announced the strike on Monday after talks with Network Rail failed to break an impasse on pensions. The company is seeking an injunction claiming the ballot information provided by the RMT was "inaccurate". If the strike is stopped, the RMT said it would re-ballot and campaign vigorously for a bigger yes vote. A judge is due to hear arguments from both sides within three days. The action potentially involving around 7,000 signalling and maintenance workers is due to start at 1830 BST on Tuesday 29 June. It has been co-ordinated with a walkout of 7,500 London Underground staff involved in a separate pay row. Network Rail earlier expressed "serious reservations" about the accuracy of the RMT ballot last month, which showed a 58% majority in favour of strikes in a row over pay and pensions. The company said it believed it had a strong case and claimed information provided by the union was "clearly deficient". Up to 1,000 workers were at "locations unknown" and members had been balloted at signal boxes, some of which had not existed for nearly 25 years, the company will claim. "We have taken this action to prevent passengers and freight customers from suffering the consequences of this unnecessary and potentially damaging strike. We have a duty to keep trains running," said a Network Rail spokesman. The RMT said it was ready to defend its position in court. A spokesman for the union said: "In good faith and to the best of our knowledge we provided the company with the information required under anti-union laws designed to make it as difficult as possible for workers to take strike action." It would this time include 5,000 more infrastructure workers who are being brought back in-house from private companies but were not originally balloted. 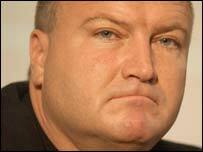 "Network Rail will not intimidate the RMT into abandoning its fight for pensions justice," said the union's spokesman.